When fifteen-year-old Becs meets Bracken, she is convinced she’s found her soul mate. So what if he’s much older? He understands her, she feels free with him and when he holds her she feels safe. 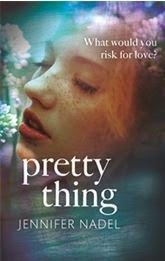 Set during the sweltering hot summer of 1976, Pretty Thing is a powerful coming-of-age novel, a story of first encounters, dark obsession, broken trust and last chances – perfect for readers of Meg Rosoff, Lauren Oliver and Annabel Pitcher. It pits true love against real life and ask: is love all you really need? Review: Set in a hot summer in the 70s Pretty Thing is a tale about growing up and love but with an added dark atmosphere. Becs is a character easy to relate with. She is a teenager eager for love and for a place to fit. She is not a brazen girl and neither is she extremely beautiful so when Bracken, older and quite handsome pays attention to her, she becomes quite smitten with him. Even forgetting a bit about her friends. 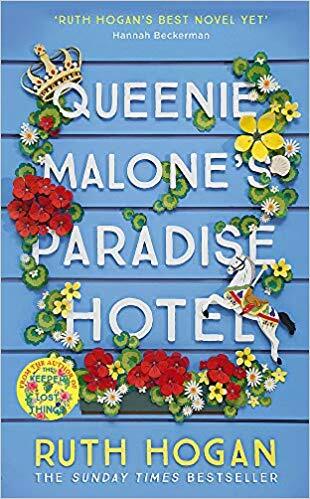 What surprised me about this story was its honesty and how well the author expressed the raw emotions going on with Becs. She is discovering her sexuality and wants her first time to be special. But life has its own ways and Bracken too. I was actually in two minds about him. I really couldn't read him. And only seeing him through Becs' eyes, who idolizes him didn't help. I had a bad feeling about him and just couldn't believe him and his act.